POE is all about system integration on a budget. 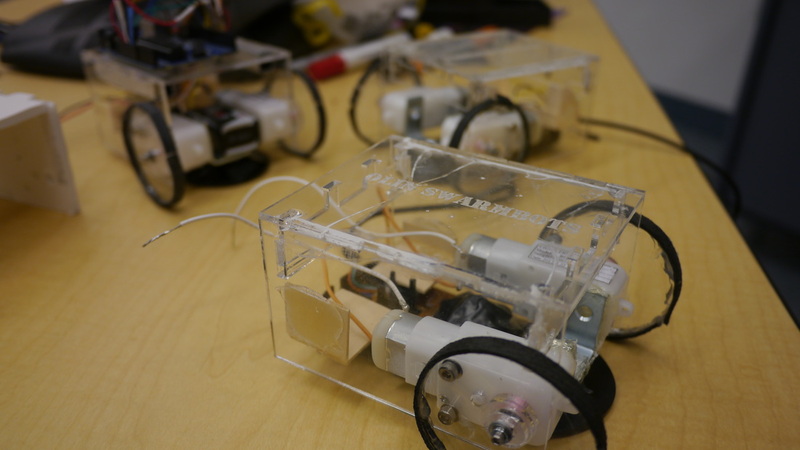 The semester is split into two halves, with labs to get everyone to the same level of comfort with using sensors with microcontrollers and the second half is focused on a major team project. The first couple of weeks focuses on learning how to program and integrate circuits with the arduino, culminating in a more complex mechanical system that integrates electronics with mechanical systems. The final team project focuses on combining all of the skills across the team to make a successful electromechanical system that challenges each team member. 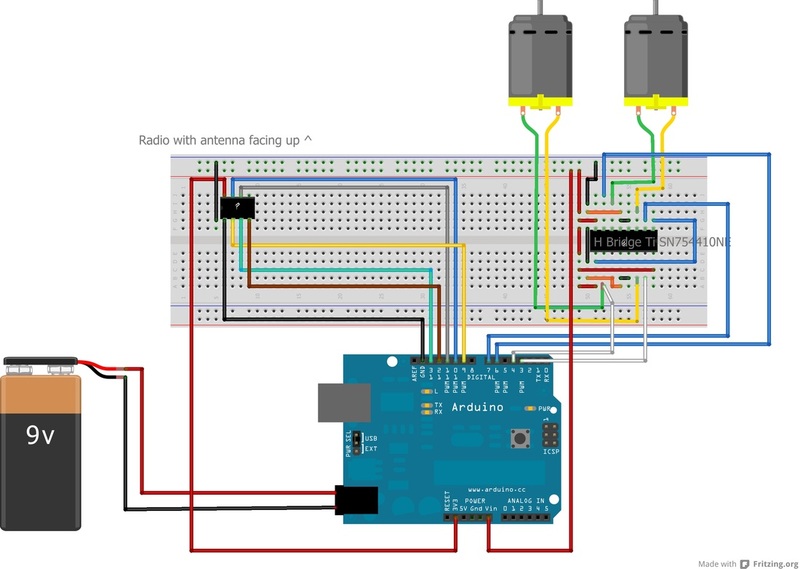 The labs are meant to introduce us to the concept of developing an integrated system with a microcontroller which in this case was the Arduino. 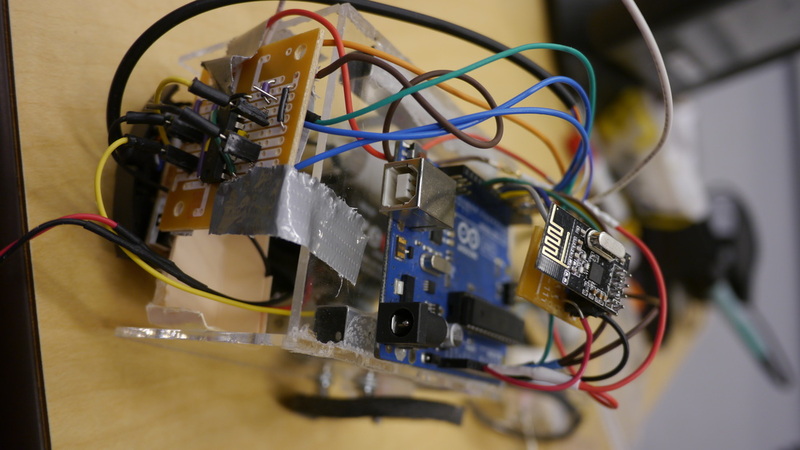 We progressed from learning about interrupts and blinking LEDs to scanning a room with a pan-tilt servo system and capturing the amount of ambient light in a room with a photoresistor. The final lab involved constructing a homemade shaker (or reciprocating saw or sewing machine inspired mechanism) and adding some level of smarts to it to make it move. Our final project focused on the integration and development of semi-autonomous robots controlled by a computer. 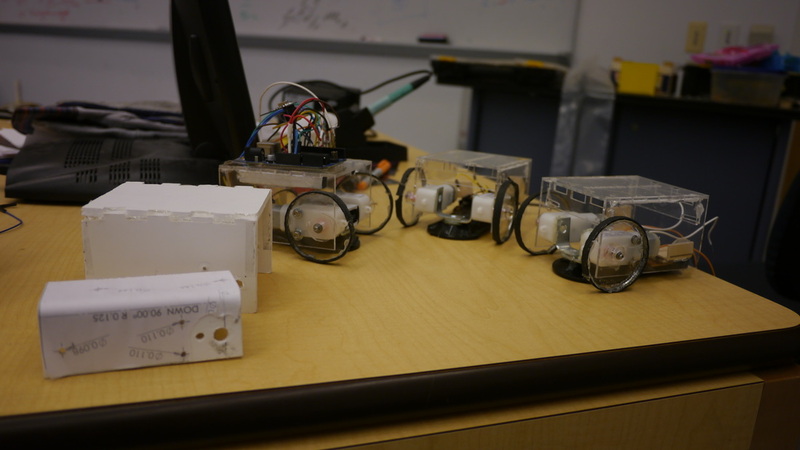 The robots talked to each other over 2.4 GHz radios and used an onboard arduino to process commands. The goal was to develop a platform that would allow for sending multiple commands to multiple robots via computer and or social media (twitter and facebook). My role was mainly developing the mechanical system and the electrical hardware onboard the robot. 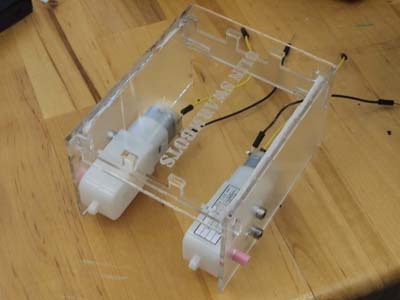 Here's the instructable that one of my teammates, Slater Victoroff, wrote. As of July 18th, 2013, we've had over 1200 views and have been entered into two competitions! Moment of truth: Will the robot drive if we tweet at it?